Each year, The Graduate Union nominates two students aged 18 – 26 years to attend the National Student Leadership Forum (NSLF) in Canberra. The Forum is on the importance of values and personal beliefs as a foundation for leadership. People from all different faith, non-faith and cultural backgrounds are welcome to apply. Learn more about this event on the National Student Leadership Forum website. We thank you for your generosity to our 2019 Annual Appeal that is towards building the reserves to support our emerging leaders through this program. openness in sharing their views and beliefs. The Graduate Union selects two applicants from those who have nominated. If then successful with the NSLF application, GU sponsors each nominee between $2,000 and $2,500 to attend. The amount awarded varies according to the costs for travel, accommodation, per diem and registration fees. The Forum is open only to those aged 18 to 26 years at the time of nomination. Most people in Australia will remember the 23rd to 26th of August 2018 as the period during which the Honourable Malcolm Turnbull became the fourth Prime Minister since 2010 to be ousted by party room politics rather than the will of the people. However, during this very same period of time, deep within Parliament House — out of sight of the cameras, and unbeknownst to the reporters typing away at stories about the failing leadership in our nation’s capital — a group of around 200 young people from all around Australia were just about to embark on an incredible journey where they would learn unforgettable lessons about leadership, faith and values. These were the delegates of the 2018 National Student Leadership Forum (NSLF) on Faith and Values, and — thanks to the support of Graduate House — I was lucky enough to be one of them. I first learned about the NSLF through an internal advertisement at Graduate House. I didn’t know much about the Forum at the time — only that it would involve participation of young people from a diversity of intellectual, cultural, and religious backgrounds. As someone who is interested in finding ways that people with fundamentally different values and beliefs can co-exist with one another, the prospect of interacting with, and learning from, such a diverse group of young leaders was enough motivation for me to apply (although if I’m honest, the fact that the Forum involved staying at the Hyatt Hotel over four days did not go unnoticed). My first impression of the NSLF was a crowded conference room at the Hyatt Hotel. The buzz of excited and nervous energy filled the entire area, as 200 delegates from all over Australia tried to orient themselves to their new surroundings. Most were experiencing the all too relatable feeling of vulnerability and excitement as they introduced themselves to someone who they had never met before, with the hope that it would lead to a new moment of human connection. The first official item on the schedule was meeting our small groups — the eight extraordinary people with whom I would spend the most time during the Forum. I didn’t know it at the time, but I would eventually come to share my story, insecurities, and vulnerabilities with these people, and they would return that trust in kind by sharing their own stories and vulnerabilities. After completing brief introductions at the Hyatt, we all headed over to Parliament House, where the first scheduled activity was sitting in during Question Time in the Senate. Due to the leadership spill, the Senate was almost empty, with only eight or so Senators present. Yet, this did not seem to prevent the Senators present from diligently pushing through the day’s order of business. During our sitting, we saw the Senate consider the Telecommunications (Regional Broadband Scheme) Charge Bill, and also agree to an amendment made by the House of Representatives to a Bill which introduces a civil penalty regime for non-consensual sharing of intimate images online. Each item of business brought before the Senate was subjected to the same formal and monotonous process: “those in favour say Aye”, “those opposed say No”, “I think the Ayes have it”. It was an interesting juxtaposition to the excitement and intrigue that had been associated with the leadership spill, and a subtle reminder that the work of running a country is often less dramatic than the 6pm news might lead you to believe. Following question time, we moved from the Senate to the Parliamentary Theatrette for our first seminar on Leadership, Faith and Values. The seminar was followed by a period of brief uncertainty, where the organisers frantically tried to ascertain whether the Prime Minister would be available to attend the scheduled question and answer session. Unfortunately, we were eventually informed that the Prime Minister could not be there (we would find out that this was because he had officially announced that he would resign if a majority of his party signed a petition calling for a leadership vote), however, the Leader of the Opposition (who had far greater job security that day) was able to attend. After the Q & A, we split off into our small groups and were invited into the deep recesses of Parliament House for an intimate meeting with a Member of Parliament in his or her natural habitat. My group was lucky enough to meet three members of parliament, the Hon Tony Abbott, Michael Andrews, and Craig Kelly MP. This was the first time in my life I had met so many politicians in a single day (my previous record being zero), and I found the following insights quite interesting: first, all of the politicians I encountered were far more charismatic in person than their television interviews would suggest; second, these same politicians were remarkably attentive listeners; and third, that the Hon Tony Abbott’s unmistakable laugh was indeed genuine, and often used in ordinary conversation. The second day started with the Lone Piper and Poppy Laying ceremony at the Australian War Memorial. To me, this was one of the most moving experiences of the Forum. The Poppy Laying ceremony was preceded by an address from Dr Brendan Nelson, the Director of the Australian War Memorial. In that address, Dr Nelson mentioned that one of the major inspirations for the War Memorial was a young soldier dying on the battlefield, who had asked one simple question “Will I be remembered?”. Throughout Primary and Secondary school, the ANZACs had always been described to me as extraordinary heroes, larrikins who were fearless in the face of impossible odds. Yet, this story of the young soldier, painted the ANZACs in a different light. As people with the all too relatable desire to be remembered. To have a life that was meaningful. This realisation that the ANZACs were such ordinary individuals, made the stories of their courage and sacrifice all the more extraordinary. Following the War Memorial, we headed back to Parliament House for a seminar on servant leadership. After the seminar, while we were having lunch on the front lawn of Parliament House, it was announced that the Hon Scott Morrison had become the new Prime Minister of Australia. The news was not taken well by the protesters in front of Parliament House, as many had prepared placards against the Hon Peter Dutton MP. The third day began with an inspiring speech by Associate Professor Munjed Al Muderis, an orthopaedic surgeon who came to Australia by boat as a refugee. He spoke of how his refusal to break his Hippocratic oath, when ordered to mutilate political dissidents back in his homeland, had resulted in himself becoming a target of the government, and forced him to flee to Australia as a refugee. His message was a simple but powerful one: when you get the chance to help someone, do it, because you may never get another opportunity. After breakfast, I heard the extraordinary story of Rev Luther Tarpeh, who was born under a mango tree in Liberia, because both his country and his family were too poor for him to be born in a hospital. He told us about how his mother had made it her entire life’s work to ensure that he received an education, and that with her dying breath, she had said that she had sacrificed everything for him, so that he could do the same for others. And so, despite starting out with nothing but a desire to serve others, Rev Luther began his extraordinary journey. Firstly he became the voice of the Liberian people on a radio show with millions of listeners, and finally to be on the verge of founding Liberia’s first independent university that will be completely free of corruption. In the afternoon, we were called upon to put the idea of servant leadership into action by going out into the suburbs of Canberra and doing some community service. For my small group, this involved levelling out a front yard, and taming the largest bramble bush I had ever seen. As someone who usually considers himself an ‘indoors man’, this was initially a somewhat daunting prospect. However, I found once I got into the rhythm of things, cutting down brambles proved to be somewhat therapeutic, and also very rewarding once I saw the (only slightly crooked) results of our handiwork. These are some of the more memorable stories from the NSLF, and there are many more incredible moments and events that I did not have the space to share here. When I first applied to be one of the Graduate House nominees to the NSLF, I did so thinking that it would be an incredible opportunity to hear about the faith and values of others. What I did not expect was how much the Forum would call on me to reflect on my own faith. Throughout the Forum, I heard stories of extraordinary leadership that were made possible by faith. During the seminars we were taught that faith is “confidence about the future in the midst of uncertainty”, and that while values can change, faith remains constant. Most importantly, when speaking to my peers, I heard about how their own faith has given them strength to overcome obstacles and allowed them to achieve things that they thought were impossible. I don’t mean to pretend that attending the Forum has allowed me to find my faith. But, at the very least, it has made me appreciate the need to start looking. I stood at the Australian War Memorial in Canberra on the 24th August 2018, listening to Dr Brendan Nelson, the Director of the Australian War Memorial, recite the above poem, which was found on a crumpled piece of paper, held by a fallen soldier taking his last breaths. The words spoken not only reflected my experience in Canberra over the four days, but also illustrated a number of lessons to continue to live by. I was fortunate to have been chosen to attend the 2018 National Student Leadership Forum, along with 200 other incredible delegates from all around the world. In the 21st century in particular, ‘leadership’ as a concept is something we often hear about. We see self-help books written about it, and Ted-talks focused on ‘The Qualities of a Good Leader’, but rarely question the values and beliefs that lie beneath one’s leadership. When people lead, they are typically doing so because they value or believe in what they are promoting. And whilst leadership is portrayed as a positive quality, leadership on its own, if driven by the wrong values, can lead to disastrous outcomes. The forum did not focus on a vague ideal of ‘leadership’ but rather the specific and individual values and beliefs that drive each individual’s leadership. It was thus more about why people led, rather than how effectively or ineffectively they led. I got to hear why people were passionate about the different causes they aimed to promote, what made them get out of bed every morning, and how these values translated into effective leadership in the long run. ‘Leadership’ is also often associated with individual skills, abilities and achievements. One of the most important takeaways from the NSLF for me was that true leadership required less of advancing one’s own interests and desires forward, and more of promoting a greater cause — whether this be the community’s needs, or the nation’s. During dinners at the Forum, we were presented with some of the most incredible speakers, having undergone countless experiences of struggle and resilience. One such story we were fortunate enough to hear was the story of Carolyn and David Stedman. Carolyn and David are currently in their 70s, and have been married for nearly 50 years. For the past 42 years, they have dedicated their lives to providing care for over 70 foster children! Many of the children Carolyn and David took in were previously abused, abandoned, born with addictions, and experienced severe mental illness. Regardless of the challenges, Carolyn and David took them in and cared for each one as one of their own. The couple spoke about how their lives consisted of sleepless nights, and having to administer doses of cocaine to small babies as many were born with addictions. What was most difficult however was that Carolyn shared that many times she was not told what happened to the children after they had gone back to the foster homes, and their adopted parents rarely contacted her with updates. This story exemplified true selflessness and the importance of a stable family environment in the beginning stages of a child’s development. More importantly however, it exemplified the importance of contributing to the community through something as simple as caring, without expecting anything in return. To me, Carolyn and David will always serve as a perfect example of servant leadership. One of the greatest lessons taken from the Forum for me was the power of compassion. During the four days in Canberra, I met the most extraordinary people and listened to some of the most breathtaking and heartbreaking stories. I heard about individuals being born in the jungle due to the militia burning their village down and all the pregnant women fleeing. I heard the story of Professor Munjed Al Muderis, now a leading Australian orthopaedic surgeon, who was faced with a decision in his home country whether to dismember refugees captured by the militia or get killed, forcing him to flee the country. I heard stories about refugee camps and harsh immigration paths, and about love and suffering amongst it all. What surprised me the most about all of the stories however was that I never thought, by looking at or speaking to the individuals on a surface level, that these were the experiences each had gone through. The delegates of the NSLF volunteered together in surrounding communities, helping out with anything the local residents needed. This included tasks such as raking leaves, watering plants and gardening, but also tasks such as walking pets or simply speaking to residents about things they had recently gone through. The word ‘help’ meant different things to each person, and the community service was a great opportunity to explore practically what it means to serve others. Being sucked into our busy lives, we often do not have time to reflect or think about anything but ourselves and our passions and interests. And whilst at times this is desirable, the National Student Leadership Forum taught me about the importance of working for something greater. I saw a different side of ‘leadership’ — one that involved a greater goal than just individual desires and goals. All of the elements of the forum left a lasting impact both in how I understand ‘leadership’ as well as how I practice it daily. A journey of years covered in 72 hours! The National Student Leadership Forum was the most touching and inspiring experience of my life. Like all other delegates, I was unaware of what to expect from the forum, but as the event unfolded before me, I realized why the entire event was kept a mystery. The simple reason was that it could not be explained! There were no words to describe the emotional roller coaster everyone was going to embark on, it could only be felt and experienced! The forum was not about “Leadership”, but it was about the essence and core of “Servant Leadership” which is a genius combination of words. I met other delegates like myself who were full of energy, but the excitement was contained due to unawareness regarding the forum. Soon however, everyone got engaged in the events as days progressed. I witnessed question time at the Parliament and got the opportunity to hear from the Prime Minister Malcolm Turnbull, opposition leader Bill Shorten and several members of Parliament in a dedicated environment, which is unique and valuable. The incredibly inspirational leaders had a personal touch to their speeches and they talked about their life, their background, their motives and most importantly their “faith and values” which drive their positivity and channelize their efforts for betterment of others. The stimulation gradually started kicking in after hearing from several amazing leaders, and the purpose of the forum began to unfold before me. I progressively started understanding what the forum was about and the activities that would take place, but I just could not estimate the impact it would have on me. By the end of the day, after listening to several stirring stories from various members of Parliament, CEO’s from corporations and various speakers, I learned the difference between leadership and Servant Leadership, and I learned the difference between skills, talents, values and faith, which were identified as various contributors to leadership. The forum had several occasions where small groups (6 delegates and 3 facilitators) used to come together in a private setting, and discuss their opinions on various matters and speakers and the inspiration that was gained. Listening to everyone’s thought provoking point of view was a great source of knowledge and motivation but it was just the beginning of the journey. Over a period of 3 days, the small group meetings became more and more personal and a safe environment was promoted where it was unconditionally acceptable to be true to yourself and others, and expose yourself to others entirely. I was absolutely heartened to hear the life stories of people and was moved by the intensity of emotions that engulfed the entire group during the discussions. I heard stories regarding the hardships people have met and was absolutely dumbfounded discovering how they fought the situations and rose above it, yet having the sturdiest longing of benefiting others and spreading love. My story was ordinary compared to the rest, and hearing others made me realize how blessed I am, yet thankless. My group humbled me, and their life stories and lessons inspired me incredibly, such that I feel like a different person with an amplified desire of giving back to society and spreading nothing but positivity and love. The small group became a family, we had food together, we did community service together and we played volleyball together as well! All these activities and discussions created the strongest bond of love and acceptance between us all, where exclusivity was respected and encouraged. Everyone realized how important it is to feel loved and acknowledged and how important it is to connect with someone’s soul rather than focusing on the surface, which unfortunately is what we often do. The friends I made at the forum are now companions of my life journey and I know that I can rely on these people and seek their help, as I have exposed to them my core and expressed to them my vulnerability. I had disconnected from the world for 4 days, did not think of studies, material, work or any worldly entity. The forum was about emotions and the asset of love, it was about burrowing deep in your core and exploring your own values, it was about finding meaning in life and being inspired to do good for others as servant leaders, it was about getting rid of all negativity, and most importantly it was about nourishment of the soul through love! The forum and all the people I met there have changed my life. I have become modest and I have explored myself in a way I never had. I now have a strong urge to do better for others and spread love. Through the forum, I have learned how to learn and that I need to learn more! I feel absolutely blessed and grateful that I got the opportunity to experience something I could have never expected, and would have not been able to experience in any other environment. I feel blessed as I have connected with myself more deeply and I have met people who I can trust and share my life with. I am absolutely moved by the experience and have become more of a human being, someone who is connected with emotions, faith and values, someone who respects individuality, and someone who willingly wants to benefit others as a servant leader! Time teaches us a quite few things as we grow older and especially so, as we enter young adulthood. One of the key things I’ve learned to appreciate is just how busy our lives get. Busy being productive, getting from point A to point B, making phone calls, arranging things, planning for our futures and basically constantly getting things done. We spend our days chasing the end of our to do lists and sometimes in that rush we forget to sit down and enjoy the simple things in life. Sometimes we forget to leave room in our busy schedules for some good old reflection or an unexpected, fun conversation. So obviously, when the opportunity to attend a four-day leadership conference presented itself, I said yes. Took me all of 5 minutes to decide and mark my calendar. Over four hectic and joy-filled days I was taken through experiences and conversations I didn’t even know were possible. Have you ever heard Malcolm Turnbull speak about his life, his faith, childhood experiences and personal values? His relationship with his parents or his views on love? Have you ever met a prime minister or a head of state who talks about love? In front of a room full of young adults? I know that I definitely haven’t. And I didn’t think I ever would until that first day in Canberra which took me to witness question time at parliament house, meet with the most down to earth Member of Parliament imaginable, get a guided tour of parliament house, hear Bill Shorten be on point with his comedy and political astuteness and finally, hear the National Australia Bank CEO talk about what got him through to the top of his career ladder and what keeps him going through the challenges. Did I mention that was just Day 1? All of this was just the beginning. Those four days brought me eight wonderful people who formed my host group – six young leaders, two facilitators (who were incidentally also associated with the conference founding team) and one assistant facilitator who kept us all together. All of us would go on to share our views on this world, our faith (or lack thereof) and our life experiences. It is one thing to know that a country is diverse and see people from various backgrounds walk out on the streets but it’s quite another to bring them together into a safe space and get them to share their honest truths with strangers they have never met before. Nothing makes one respect diversity than the knowledge that people who may look very different, who may speak a different language at home and who may occasionally dress different from us and will always pray to a different god are in fact facing the same struggles all around us. With somewhat similar ambitions for their future: the desire to be good, do good and live well within our communities. It is difficult to remember these realities as we get busy and a forum like NSLF does the perfect job of showing us not only how to observe such realities but also make them a part of our daily life – as active leaders in our communities. How does a forum like NSLF achieve these things? One key ingredient: good facilitation. When I say this, I think of the young men and women who spearheaded the conference in their twenties, to have healthy conversations around faith. I think of the many leaders and politicians who have joined 20 years of the conference to share their stories, as honestly and openly as they can. I think of the group discussion facilitators who put aside jobs, families and their phones for four days to come talk to a bunch of (somewhat clueless) young adults. And finally, I think of the young future leaders who took out four days from their packed lives to join a conference about which they knew very little to start off with, but contributed wholeheartedly to. At the end of it, if there is one thing I took away from the conference, it is the need to fill our lives with conversations that allow us to understand those different from us. Conversations that take us outside our comfort zones. No matter how busy we get, it’s always necessary to understand the struggles of those around us and lend a listening ear where possible. All of us can do our part to make this world a better place, through actions big and small, as the leaders of tomorrow. Abby Chen, the past treasurer of the Graduate House Student Group, communication officer in the Law School Student Society and past treasurer of the Melbourne-China Law Society was sponsored by the Graduate Union to attend the program and left with positive reviews of the program, with Abby stating that it was a “mind-blowing experience”. “Because I am from overseas, I really wanted to know what the best Australian students, my age, are thinking. Where are they going to put themselves in society, what are their dreams, and what they’re concerned about,” she said of her motivations to attend. One particular experience left Miss Chen enthused about helping people in the future. The activity in question involved participating in some community service, providing a gardening service for an elderly lady who was living alone. She recalled that the lady’s opinion of people changed the moment their hard work ended. For Chen, the forum’s focus on creating small, tight-knit groups was one of the greatest assets that the program had to offer. 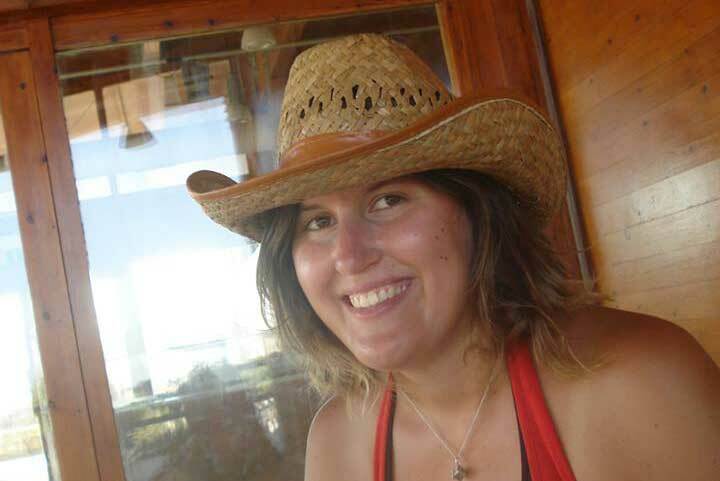 The connections established and personal experiences led to a journey of self-discovery for Abby. The post-NSLF experience has been about finding new motivation to help people and to voice out opinions, despite how small she believed she was in the community. Abby also made some professional connections, a fellow law student who came from a similar background and they hope to start up a business together in the future. “We found that we share a lot In common. We both saw some business opportunities lying there. There were some ideas and opinions that we had thought were uniquely held by ourselves were actually, as we found through our communication, shared.” The exposure and opportunity to interact with other students and future leaders, allowed Abby to exercise her networking skills, but, most importantly to change her perspective on social good and what we can do to achieve it. “I’m very excited that Graduate House supported this opportunity for me. It was a fantastic experience, and all of the speakers, from Deng Adut to the Prime Minister and Opposition leader, were utterly inspiring. Today, a journey a couple of months in the making takes off. QF 618 Adelaide to Melbourne, had a Graduate House member who, when flying through the clouds was smiling contemplating, he couldn’t wait for the adventure ahead; he was attending the National Student Leadership Forum (the Forum) in Canberra. Like the never-ending clouds he saw out of the window, the possibilities and opportunities at the Forum were endless. I was fortunate to be one of two Graduate House members to be attending this prestigious Forum. After a brief layover in Melbourne airport, I was off again to Canberra. Thud as the wheels of the plane land and as the reverse thrusts slow down the plane, reality sets in, I was in Canberra. It was real. An efficient check-in (at the Park Hyatt), a quick bite to eat and off to bed. Tomorrow the adventure begins. A sea of faces. Opportunities endless. Having stayed the previous night at the hotel I was rested and ready to go. Once registered, I met some new friendly and nervous faces, but was soon put into my small group. Group 13, some may say it is an unlucky number, but what ensued shows that it was far from that. I met my group, comprising of six delegates (Ana, Emily, Sam, Sophie, Tim and myself), our small group facilitator (Linton) and our assistant small group facilitator (Maddie). After breakfast we boarded a bus to Parliament House. Here we were introduced to the Forum and the five elements of leadership (skills, talent, character, values and faith) by Dr Stuart Bade, who defined leadership as ‘the legitimate use of power to achieve outcomes on behalf of other people.’ An inspiring definition. Following this we heard from 2 MPs who are also very good friends, The Hon. Scott Morrison MP (The Treasurer) and The Hon Jason Clare MP (Shadow Minister for Trade and Investment). They spoke about what leadership meant to them and how it is possible for two Members of Parliament with different political ideologies to not only work together but to travel together (they trekked the Kokoda). As impressive as it was to hear from these two politicians, it was more impressive to hear from a man I very much respect, the Prime Minster, the Hon Malcom Turnbull MP. The Prime Minister spoke candidly about how he defines leadership through love, love for his community (in this case Australia) and for his family and that he centres his leadership around this. After the Prime Minister, the Opposition Leader, the Hon Bill Shorten MP spoke about what drives him and how he centres his leadership around this. I found that the Opposition Leader spoke in a more political sense possibly trying to persuade potential voters, whereas the Prime Minister spoke more about his own feelings and emotions. We had a short break before welcome drinks and then dinner. At the dinner, Mrs Geraldine Doogue AO, spoke about the role of the media in leadership and emphasised how you can learn from your mistakes. After the dinner we returned to the Hyatt, I met my roommate and our small group reconvened for our first formal small group discussion. During these discussions each member of the group, including the assistant small group facilitator, shared their story. We were encouraged to be candid, open, honest and non-judgemental; here was an opportunity to self-reflect. Of course what we learnt about each other and ourselves remained within the group and confidential. Awash of names. Awash of energy. The Hon. Brendan Nelson, Director of the Australian War Memorial, started the day by telling us what leadership means for members of the Armed Forces; he told stories of heroism and sadness, in an incredibly moving speech. The bagpipes played as we walked around the Memorial and passed row upon row of names of Australian service personnel who had made the ultimate sacrifice. From here we travelled to Parliament House where we heard from Senator David Fawcett (Senator for South Australia) and The Hon. Anthony Byrne MP (Member for Holt). They spoke about the challenges which the media imposes on politics and politicians. They also both spoke about their values and their faith which resulted in them wanting to become involved in politics. Afterwards we walked back to the Hyatt for a small group discussion, during which I shared my story. For me this was an interesting experience as it forced me to reflect on what was important to me and what my faith and values were. After this there was a shortened sports festival in which each small group competed in volleyball games. Now I must emphasise that it absolutely bucketed down with rain for the whole festival. On the plus side it was a lot of fun and any delegate who had forgotten to shower the previous day was now clean (well very wet at least). With one win and two losses in the Festival, a shower and clean clothes it was time for another small group discussion. After this we listened to a talk given by Mr Deng Adut. Mr Adut is a true inspiration. The courage he has shown and his ability to be able to forgive those who tortured and brainwashed him was and is humbling. He was amazing to listen to, the struggles he has faced and his ability to overcome them was moving and motivating. After Mr Adut’s talk there was another small group discussion this was followed by drinks at the bar at the Hyatt. A broken back was the first topic of discussion, the broken back of New South Wales Premier the Hon. Michael Baird. The Premier was meant to be speaking but due to a ‘baird back’ he was unavailable. In his place we heard from the former Managing Director of Pickles Auctions, Mr Tim Pickles, who spoke about the challenges of leading in business and the impacts that can have on your home-life and family. Shortly after breakfast we had a small group discussion, followed by Community Seminars. There was a choice of five seminars; I chose the Business Panel and a talk by Jordan O’Reilly. I found the Business Panel fascinating, especially the work of Dr David Cooke, Chair and Managing Director of Konica Minolta Business Solutions Australia and of Mr Joseph Assaf, Founder of Ethnic Business Awards. Both discussed various cultural challenges that they as leaders faced and how their life experiences, be it from education or upbringing, assisted them in providing solutions to the problems they faced. Next I heard from Jordan O’Reilly who discussed what it was like growing up with a brother who is severely disabled and how he cared for his brother after his father passed away at an early age. Mr O’Reilly also discussed his charity Fighting Chance Australia and his start-up company Hireup. Mr O’Reilly through his personal experience of assisting his brother knew changes needed to be made to improve the lives of people living with disabilities; he wanted to make a difference so he created a charity as well as starting a business. Later in the afternoon all of the delegates went to the outer suburbs of Canberra and assisted in the community. My group was tasked with cleaning up a backyard for a single father; it was really enjoyable to give back to the community and to do some hands-on work. (And I quite like gardening and tidying). After returning to the hotel, we had some free time and I went for a walk by Lake Burley-Griffin. After the free time ended we had a small group discussion and prepared for the barn dance. Those of you who know me also know my dancing (lack of!) abilities. I do like dancing and the barn dance was a lot of fun however I can confirm I will not be dropping my Masters of Laws to become a professional barn dancer (I was the person who turned right when everyone else turned left). After the barn dance our small group (and really we were the only delegates who did) partied on into Canberra’s city centre. I am delighted, honoured and privileged that Dr Kerry Bennett and Graduate House nominated and sponsored me to attend the National Student Leadership Forum. The Forum was an opportunity for me to reflect on my leadership abilities. I learnt a lot about myself. I am a lawyer and I deal in facts and this Forum certainly made me step outside my comfort zone. I encourage all Graduate House Members to apply to attend this Forum in 2017. Click to view a photograph of Riyan with his NSLF group. Every year we venture to seek out Resident Members who are suitable to represent The Graduate Union and willing to participate in Australia’s eminent youth forum, the National Student Leadership Forum in Canberra. Running from September 17th till September 20th, the forum focuses on faith and values, giving delegates the opportunity to share their own journeys and relationship with faith, values, character, and what the role of leadership is in their lives. The two residents who not only passed our selection panel, but the panel of the NSLF were Betsy (Jingyao) Yu and Riyan Stephan. 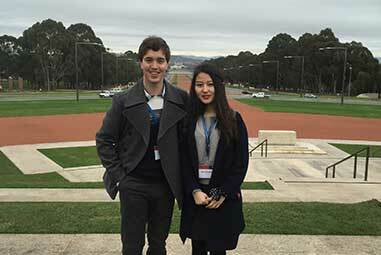 Their journey started September 17th where they began by meeting the other delegates – university students from all over Australia to participate in this great national event. Things certainly started in full-swing, witnessing Question Time in the House of Representatives: the Liberal and Labour parties debating on a free-trade agreement and development in Western Australia. “It was a great privilege to witness this,” said Betsy. From there they moved to Parliamentary Theatrette where they received a welcome address from Mr James Blackwood, Director of the National Student Leadership Forum. He explained that he took the initiative and worked with his colleagues because he believed that the future is in the hands of the young generation, it is therefore up to those who can to mould them into better leaders. Mr Blackwood emphasised that this is what he and his colleagues sought to achieve. After an introduction to the theme of leadership, faith and values, by Dr Stuart Bade, a plastic and reconstructive surgeon, The Honourable Jason Clare MP and The Honourable Scott Morrison MP – who are from opposing political parties, welcomed the delegates to Parliament House. They came together to foster a spirit of partnership and reconciliation by initiating the first Mateship Trek. Even though different regions and countries may deal with the ordeal of racial profiling, their mateship trek helps to build a strong bond and fortify positive cultural relationships. On the second day, after breakfast at the Hyatt Hotel, the delegates visited Canberra’s war memorial (Reflective Pool). There they ruminated upon Australian history, and on the importance of cherishing and doing what we can to strive for a peaceful tomorrow. A walk down ANZAC parade found them at Lake Burley Griffin, later making their way to Parliament House for a diverse leadership panel with Rabbi Zalman Kastel, Shaykh Sonor Coruhlu and Greg Moriarty. The groups got together and commenced some leadership exercises, including a healthy dose of physical activity courtesy of the Forum Sports Fest, which saw fun games and activities test not only their physical stamina, but their ability to work in groups. The delegates then welcomed dinner including an address from The Honourable Michael and Kerryn Baird, and continued with their group discussions. Saturday, the third day, saw delegates continue their group work, in particular through community seminars. The day ended with a traditional Aboriginal Bush Dance at Yarralumla Woolshed. Sunday, 20th September marked the final day of the forum. Delegates checked out of their rooms, had breakfast, and concluded with student responses. Thank you Betsy and Riyan for representing our ‘house’ and our ‘union’ on the national stage. You have done us proud. “Why?” Anyone who has spent any time with kids, or perhaps even been one themselves, has not been able to escape asking this question. It can take innocuous forms like “Why does the lamp shine?”. But be wary, even this seemingly innocent guise can quickly drag you down the rabbit hole. “Because there’s a small piece of metal in the lamp that gives off light when it is heated”. “Why?” “Because electrical resistance in the metal causes it to release light.” “Why?” “Because flowing electrons interact with electrons in atoms of the metal exciting them to higher energy levels which causes the release of photons upon relaxation.” “Why?” “Because the laws of quantum physics tells us that energy levels are discreet and release of energy must therefore be in the form of quanta.” “Why?” “Because … because I said so”. However, this very innate curious nature of kids slowly fades with time. When was the last time you took the time to really ask why? During the four days I spent in Canberra in early September, I was forced to ask why. And even worse, I was expected to try and answer. It was cold in Canberra. I had never been here before but this is what people usually say when talking about the capital of the nation. I was surprised to see how true it was. At the time of writing it is 21˚C in Melbourne, 22˚C in Sydney, and 14˚C in Canberra. When I attended the National Student Leadership Forum in early September, this was also the case. But luckily the atmosphere of the Forum was anything but cold. I did not really know what to expect beforehand and the idea of “discussing visions” and “inspire change” seemed a bit wishy-washy and I feared that my four days was going to be filled with speakers telling me to “believe in myself”. I was wrong because the Forum was so much more. At the heart of the Forum was a discussion on what we are doing, where we want to go, and why. This was carried out in small groups of 9-10 people where 2-3 were experienced, in having been there before, and they lead the discussion. Every now and then, most of us had to explain “what we are doing” and it can be as easy as just verbalising parts of your CV. To answer “where you want to go” is more difficult. But most of us have an idea on where we are heading as well. Maybe what you say when grandma asks. It might be fluid and not that well-defined, but there is typically a general direction. But to ask yourself “why” is harder. Much harder. What are your underlying reasons? Your values? Beliefs? What makes you you? A common underlying value is that family and friends are important. But if this is the case, why then do so many of us spend way more time and effort on our work/studies than with our family and friends? Why is there a common disconnect between our actions, and our plans for the future, with what we say our beliefs and values are? Another common value is that we want to help others, to be a part of building something better. If you agree with this, then you need to ask yourself: is your present and future reflecting this? This is not about dropping your business or law or science degree and becoming a volunteer in Tibet. It is about channelling your values through your passions and your strengths. During the Forum we met people from all walks of life, from a CEO of an investment bank, politicians, a principal of a public school, a general of the armed forces, lawyers to journalists. Through their work they do what they are good at and where their passions and strengths lie. What they had in common was that they had found ways to connect this to their values. Be it the principal who is helping to heal a broken community fraught with racial divide, or the CEO who found ways to use the enormous resource-generating capability of a multibillion-dollar investment bank to effect change in healthcare and education in the developing world. By focusing on their passions and strengths, they can do so much more than by walking away from these professions. Indeed, some of them who are in the public eye are typically not considered as “noble” as, say, being a volunteer for a not-for-profit organisation. It all just depends on what your values are and if you can channel your skills and talents into these values. Leadership values at the Forum were discussed against this backdrop. The idea was not how to get others to obey and follow you, it was to take control over and lead yourself and to understand and refine your own values. To channel the skills and talents you have into these and to let them guide you. This is how many of our time’s greatest and most influential leaders worked and how they relate to themselves and their surroundings. Why do they do what they do? Why do they inspire people to follow them towards something better? These all start with that short but powerful question. So when was the last time you sat down in a comfortable chair with a nice cup of tea, thought about what you were doing, what you want to do, and really asked yourself: Why? It’s worth a thought. From the 4th to 7th September, I attended the 16th Annual National Student Leadership Forum hosted at the Hyatt Hotel and Parliament Hall in Canberra. Mattias and I were nominated by our college about a month prior to the Forum, and at the initial stage of writing my application, I had no idea what I was getting myself into. It really could have been anything from a four-day series of lectures, or even one of those Kumbaya type sharing-round-a-campfire events I had been to when I was younger. The website, though impressive and encouraging, didn’t really give much information about the more practical aspects of the Forum. It reminded me a lot of the movie Fight Club. The first rule of the National Student Leadership Forum: you do not talk about the National Student Leadership Forum. Needless to say, upon waking up on Thursday morning, I was quite nervous. I honestly think my nerves were the only thing keeping me awake that day because 5.00am starts are not exactly my forte. Arriving at the Hyatt didn’t do much to settle my nerves. I arrived in my travel clothes, in this case, it meant jeans and sneakers. Those who have been to Hyatts will know they aren’t really jeans and sneakers kind of places, they tend to be more business attire type hotels. Luckily we arrived well in advance of registration and I had time to change into my ‘parliament-appropriate’ clothes. Point 1: If there’s work to be done, do the work. Cynicism is a common refuge for those disenchanted with the direction leaders are taking the world today. It is easy to stand on the sidelines and judge the actions of others without taking action yourself. People in power are often seen as a suit of armour. They are seen by others merely as the empty shells of their positions, not as actual people with their own motivations and values. We judge them on their actions, whereas we judge ourselves in our intention. Waiting for the world to change before you choose to have a part in building it. I fell into this trap. I had ideals, but did not think they were worth acting upon. By reflecting on our ideals and transforming them into positive values we are able to combat the inertia of cynicism and make an active difference in the world. Point 2: Make a decision. Take action now. Don’t let your motivations fall into a realm of abandoned dreams. Act by capitalising on those motivations, let them propel you to move forward. Point 3: Become a culture maker, not a culture taker. This point pertains to the first one in that it also engages with the necessity in our society to root out cynicism. Creating a culture for yourself takes time, effort and a lot of co-operation. It is not a solo act. In order to achieve this, it is necessary to realise that everyone is important and everyone has a story and that everybody ‘belongs’. Joseph Assaf once insightfully noted that harmony was not an absence of difference but the coordination thereof. By defining the rules of engagement in the life you inhabit, you can create a positive culture for yourself and others in which you can make a difference in the wider world, much like the creators of the forum. Point 4: Find a way to serve. Service is a way to become. We do it not because we feel like it but because it makes us the person we want to be. The more we give away, the more empowered we become and the more we empower others to do the same. Point 5: Find like-minded friends and build a community. Building a positive future for yourself and others is a choice. Though any community requires cooperation between people, the choice to enter into the creation of such a community is one you have to make alone. You have the power to determine how you engage with people. By choosing to share and listen to others as they do the same to you creates a positive atmosphere in which a community can thrive and strive towards a common vision. This does not mean all the members of your community must have the same values – as I stated above, difference is a necessity for harmony – but they should be receptive to one another, to difference, and dedicated to a common purpose. By actively engaging with others and opening up to them, we are able to create meaningful relationships that can have a profound impact on how we see ourselves and the world around us. Mahatma Gandhi once said ‘you must be the change you wish to see in the world’. I believe this forum helps give us the strength to become this change, to engage with the world and others as a transformative leader that serves others, listens without judging and perseveres against adversity.